Daylighting is the practice of placing windows, other openings, and reflective surfaces so that sunlight (direct or indirect) can provide effective internal lighting. Particular attention is given to daylighting while designing a building when the aim is to maximize visual comfort or to reduce energy use. 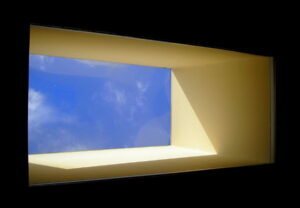 Windows are the most common way to admit daylight into a space. Their vertical orientation means that they selectively admit sunlight and diffuse daylight at different times of the day and year. 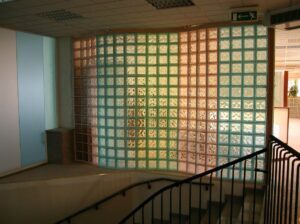 Therefore, windows on multiple orientations must usually be combined to produce the right mix of light for the building, depending on the climate and latitude. 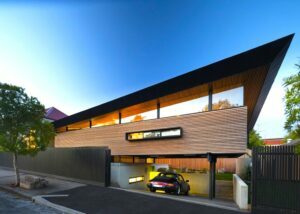 Another important element in creating daylighting is the use of clerestory windows. These are high, vertically placed windows. They can be used to increase direct solar gain when oriented towards the equator. When facing toward the sun, clerestories and other windows may admit unacceptable glare. 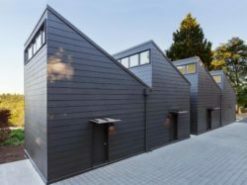 Another roof-angled glass alternative is a sawtooth roof (found on older factories). Sawtooth roofs have vertical roof glass facing away from the equator side of the building to capture diffused light (not harsh direct equator-side solar gain). Skylights are light transmitting fenestration (products filling openings in a building envelope which also includes windows, doors, etc.) forming all, or a portion of, the roof of a building space. 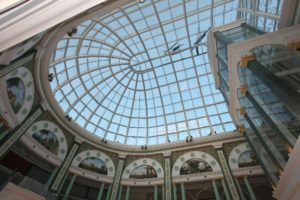 Skylights are widely used in daylighting design in residential and commercial buildings, mainly because they are the most effective source of daylight on a unit area basis.An alternative to a skylight is a roof lantern. A roof lantern is a daylighting cupola that sits above a roof, as opposed to a skylight which is fitted into a roof's construction. Roof lanterns serve as both an architectural feature and a method of introducing natural light into a space, and are typically wooden or metal structures with a number of glazed glass panels. An Atrium is a large open space located within a building. 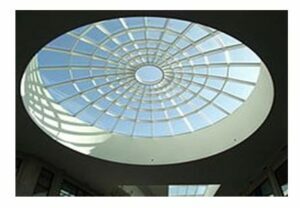 It is often used to light a central circulation or public area by daylight admitted through a glass roof or wall. Atria provide some daylight to adjacent working areas, but the amount is often small and does not penetrate very far. The main function of an atrium is to provide a visual experience and a degree of contact with the outside for people in the working areas.